Why Isn't Yuri Van Gelder Competing? 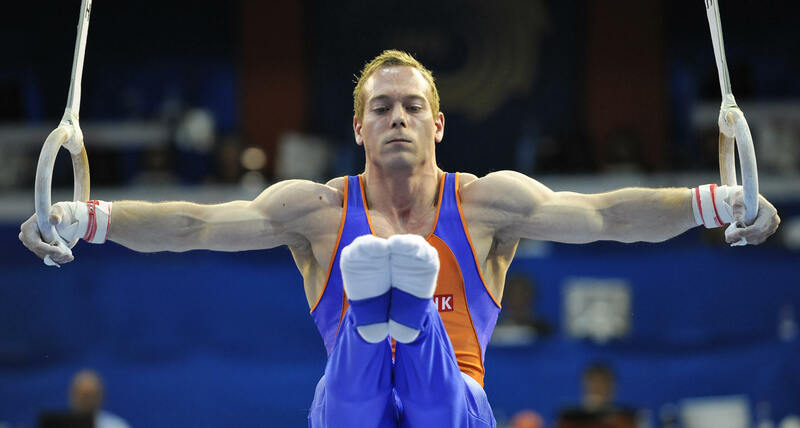 The Rio Olympics Committee Expelled The "Lord Of The Rings"
Dutch athlete Yuri Van Gelder, whose impressive stunts on the gymnastic rings have earned him the nickname "Lord of the Rings," was supposed to compete in his best event in this year's Olympics. As the former world champion in rings, he had easily qualified for the finals of the event on Aug. 6, and was considered an early favorite for a medal. So why isn't Van Gelder competing in Rio? Following a pattern of drug usage that has dogged him before, Van Gelder has been expelled from the 2016 Olympics for a night of alleged drinking in Rio. The 33-year-old gymnast reportedly left the Olympic Village following his qualification for the finals to celebrate, and did not return until the following morning, The Guardian reported. The Dutch Olympics Committee claimed that Van Gelder's night of drinking likewise caused him to miss a training session. Per the country's strict team rules, Van Gelder was found in violation and sent packing. According to media reports, Netherlands' athletes are forbidden from leaving their team base and traveling into Rio for safety reasons. Van Gelder's alleged violations were therefore twofold. He not only went out for a night of drinking, but did so in the city of Rio, where athletes have been advised to stay indoors as a safety precaution. Van Gelder took the Dutch Olympic Committee to court on Aug. 12, calling for an emergency hearing in the hopes of reinstating his status in the summer games. Along with his reinstatement, the "Lord of the Rings" wanted the committee to pay for his flight back to Rio and offer him additional financial compensation for his troubles. Though the disgraced gymnast argued in his appeal that he only had "four beers," according to Dutch News, he denied breaking any rules and claimed that he had not gone to a club. The court wasn't buying it, however, and ruled in favor of the Dutch team's decision to have Van Gelder expelled. In a statement reported by Reuters, Dutch team ambassador Maurits Hendriks lamented the decision, but said it was the only viable one: "It’s terrible for Yuri, but this kind of behavior is unacceptable. In sports terms this is a disaster, but we had no other choice given the violation of our values." This isn't the first time the athlete has had issues violating the rules at a major sporting event. Van Gelder was similarly suspended from the Dutch Gymnastics Union for reportedly taking cocaine three days before the Dutch national championships, according to NRC International. For that violation, the International Olympic Committee would not allow him to compete in the 2012 summer games.